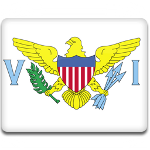 D. Hamilton Jackson Day, also known as Liberty Day, is a public holiday in the United States Virgin Islands celebrated on November 1. It honors a prominent US Virgin Islands civil rights leader. David Hamilton Jackson was born in 1884 on the island of Saint Croix. At that time, the islands were part of the Danish West Indies. In 1913, he organized the first labor union in the Danish West Indies. He also petitioned for freedom of the press. In 1915, Denmark repealed the law which prohibited independent newspapers, and Jackson established the first free newspaper, The Herald. When the territory was sold to the United States in 1917, he remained involved in the politics and began to struggle for US citizenship for islanders. Jackson served on the Colonial Council of Saint Croix from 1923 to 1926 and on the Municipal Council of Saint Croix from 1941 until his death in 1946. David Hamilton Jackson Day was designated a public holiday in the US Virgin Islands. The date of November 1 was chosen to commemorate the first publication of his newspaper in 1915. Interestingly, the holiday is also known as Bull and Bread Day, because bread and beef (bull) are traditionally served at the celebration on Saint Croix.